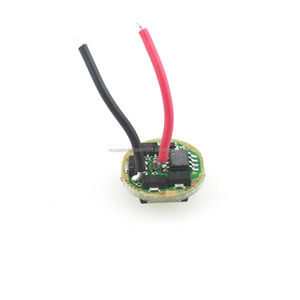 Charging Time and Discharging Time Charging Time: No less than 3 hours by the USB cord(included),when the indicator light showing green, you continue rechargeable it for 20 minutes will be full charge. With professionals, senior Engineer, our company owns plenty of patent products and we are able to turn your thoughts into real products. As long as you offer 3D modelling figure with clear requirements, we can help to design whatever you want. The relevant indicator lighr turns on, charging starts. 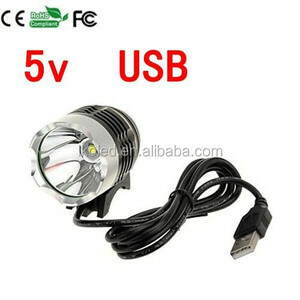 The charging time will takes about 8-10 hours and could not be more than 15 hours. At this moment,in order to protect the battery, please stop using. Is a set design production and sales in one of the professional manufacturer. We are looking forward to new challenge and further business developement with old and new customers. 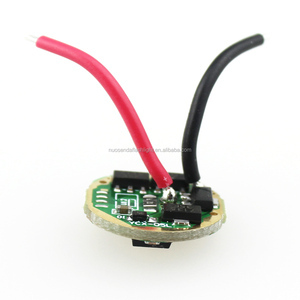 Production process: Welcome to contact us freely if you have any questions or need further informations on the products. 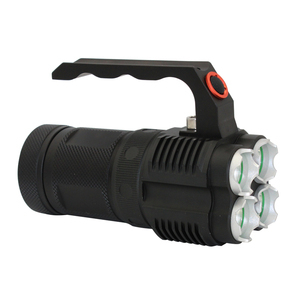 is the manufacturer of led flshlight,diving flashlight,rechargeable flashlight and so on more than 10 years. We have a very strict QC system, not only the material, but also the production and the end product. 1.Q:Do you offer samples for testing9 A: Yes,we offer samples for testing with cost paid by buyer. 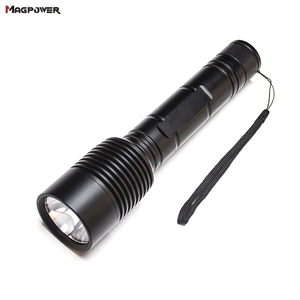 High quality stronglite led rechargeable torch long range torch cree q5 flashlight Rechargeable flashlight Light source: CREE LED XPE/ Q5/ T6 or other type Battery type: 2AA/3AA/2SC/3SC/2C/3C/2D/3D(OPTIONAL) Housing material: Aircraft grade Aluminum Housing color: black / customized OEM: available Certificates: CE & RoHS ( other certificates can be according to your request) Accessories: charger,battery (Optional ) Package: color box Note:LED torch light is too strong ,To prohibit the eyes look directly at the irradiation ; avoid injury, this is not a toy,please keep away from kids . For any more informations please feel free to contact us . Thanks. 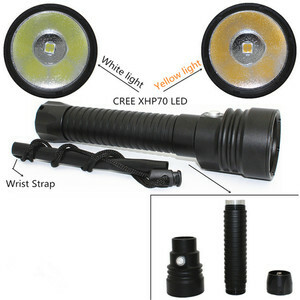 Alibaba.com offers 44,312 cree led flashlight products. About 82% of these are led flashlights, 4% are led headlamps, and 2% are flashlights & torches. 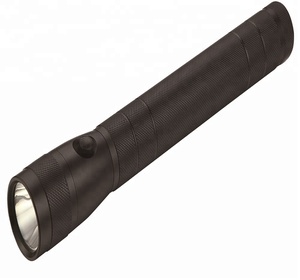 A wide variety of cree led flashlight options are available to you, such as ce, bv, and rohs. You can also choose from aa, aaa. As well as from aluminum, aluminum alloy. And whether cree led flashlight is emergency, camping, or industrial. 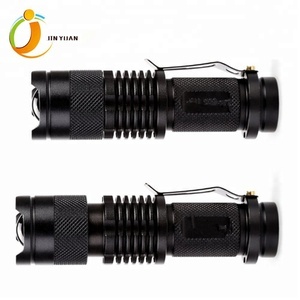 There are 44,169 cree led flashlight suppliers, mainly located in Asia. The top supplying countries are China (Mainland), Taiwan, and Hong Kong, which supply 99%, 1%, and 1% of cree led flashlight respectively. 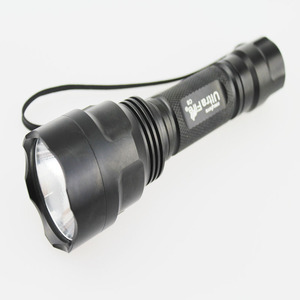 Cree led flashlight products are most popular in North America, Western Europe, and Domestic Market. You can ensure product safety by selecting from certified suppliers, including 14,401 with ISO9001, 2,100 with Other, and 1,100 with BSCI certification.